Changing brain chemistry by altering the release of neurotransmitters and neurohormones. Neurotransmitters either stimulate or dampen nerve impulses. Neurohormones can affect the function or activity of an organ in the body. 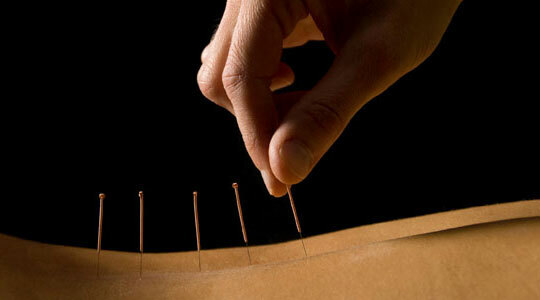 Some people say that they are scared of needles and that's why they don't want to have acupuncture treatment. If so, think it again! 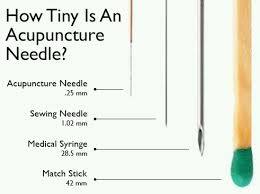 Acupuncture needles are very thin like your hair. It is not like a medical syringe that is used in doctor's offices or hospitals. Check this comparison chart and please don't miss amazing treatment that acupuncture can provide you with. Relieve neck pain, shoulder pain, back pain, and joint pain with acupuncture.